Tax time is still a few months away but if you wait until then you could be in a rush to get all the paperwork together. You can make it a lot easier on your tax preparer (even if you do your own taxes) by keeping up with necessary financial documents throughout the year. W-9 forms for contractors to whom you paid more than $600 in cash or check. This form is basically a request for the name and taxpayer ID number (social security number, employer identification number, or individual taxpayer identification number) of people you paid. Your clients may also request a W-9 from you if they paid you more than $600 this year. If a client has paid you more than $600 this year and hasn’t requested a W-9 form, odds are they won’t be sending you a record of your income for the year. However, you’re still legally required to include this income on your tax return. 1099 Forms from people who paid you. Sometime in January, most clients will send a 1099-MISC form listing the amount they paid you in the year. Compare it to your records to make sure it’s correct. You may also receive a 1099-K from Paypal and other payment processors if you had over 200 transactions or $20,000 in credit card or electronic transfer payments. Clients are supposed to issue the 1099-MISC for cash and check payments only since the 1099-K covers credit card transactions. Double-check your 1099s against your invoices to be sure you don’t have duplicate income reporting. Receipts or cancelled checks from your estimated tax payments. Throughout the year, you’re generally required to make quarterly payments based on your projected income for the year. Your tax return will compare what you’ve already paid to what you’re supposed to pay and determine whether you’re due a refund or owe additional tax. Records of your business related expenses paid throughout the year. This includes things like web hosting fees, invoicing fees, association membership, business-related travel, or office furniture. You can even deduct a portion of your home internet service if you worked from home. Receipts of health insurance payments. As a self-employed worker, you’re allowed to deduct 100% of health insurance premiums paid for themselves, a spouse, and dependents as long as you had a net profit in the year (your revenue exceeded your expenses). Keep record of what you spend on health insurance so you can easily take this deduction. Record of retirement contributions. You can take a deduction for contributions to certain self-employment retirement plans, like the SIMPLE, SEP-IRA, or solo 401k. Floor plan if you have a home office. The home office deduction lets you take a deduction for rent or mortgage if you have a room or space in a room that you use exclusively for business. The floor plan will help you document the percentage of your home that’s use for the office, e.g. 200 feet in a 1000 square foot home lets you deduct 20% of your mortgage and other home expenses. Note that this isn’t an exhaustive list of everything you need to file your taxes, just the things that freelancers are more likely to need. For example, if you take the child care deduction you may need a form from your childcare provider. I want to disclaim that I am not a tax professional. If you have tax questions about your business, be sure to talk to your accountant, tax attorney, or tax preparer. Good reminder about taxes. I have a CPA prepare my taxes, even though I have two accounting degrees. Of course, the computer does the work. All the CPA does is enter the numbers; however, you must understand which numbers go on what lines and if you can take deductions. When in doubt, hire a CPA. Thanks for reminding. Those documents are really necessary. And I agree with you Amanda about hiring a CPA when in doubt. That is really important. I had a question. 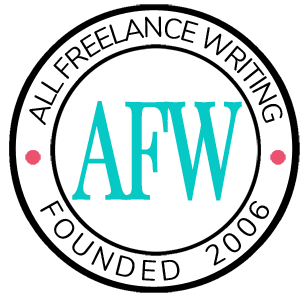 In your article, you mentioned “Clients are supposed to issue the 1099-MISC for cash and check payments only since the 1099-K covers credit card transactions.” 2012 was the first year that I had to outsource some work to another writer. I paid her through Paypal and it was well over $600 worth of work. My question: Do I need to issue her an 1099Misc? From the above quote, it doesn’t sound like I need to – but I keep finding conflicting information in other places. Some say I do, some say I don’t. Thanks! Looks like you don’t need to. Here’s the IRS doc on 1099-misc forms. There’s a section about the 1099-k on there noting that those payments shouldn’t be reported on the 1099-misc. Looks like I also just wasted money on new 1099-misc forms that I won’t need for my own contractors. Darn.